Zinnov Management Consulting, a leading Globalization and Market Expansion Advisory firm, today launched its much awaited rating of Global R&D Service Providers’ across geographies. The study titled “Global R&D Service Providers (GSPR) Rating 2014”, is an annual study to assist business leaders spearheading global engineering initiatives make right decisions in partner selection across geographies. 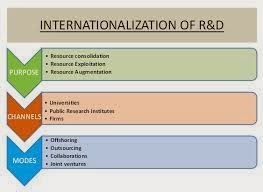 The study estimates the overall addressable R&D globalization and services opportunity at $170 Billion as of 2014. Currently only $55 Billion of this opportunity is addressed globally. India’s share of the addressed market is 33% with in-house R&D centers contributing $11.3 Billion worth of services to their parent companies. The study finds that the Engineering services landscape is undergoing rapid shifts from the perspective of range and nature of services. The global outsourced Engineering services market currently stands at $26 Billion with players from US, Europe and India having an almost equal share. Indian service providers lead the pack amongst the global service providers. As of 2014 the Indian service providers deliver $6.9 Billion worth of services which is 27% of the addressed outsourced services market. The study estimates that by 2020 the Indian outsourced ER&D services market will reach $15 Billion growing at a CAGR of 13%. This growth will be primarily driven by addressing the increasing demand for embedded systems and software needs across all verticals. Amongst global leaders in Engineering and R&D services, Wipro, TCS and HCL continue to retain their dominant position in the Engineering services segment. Wipro has a rich Engineering Services heritage and innovation in its DNA, industry leading lab infrastructure and eco-system connects and is a clear leader in Hi-Tech vertical. TCS has a highly diversified and mature R&D practice which is demonstrated through its positioning in leadership zone across all verticals in which it operates. HCL with its positioning in the leadership zone across most of the verticals and its notable capability addition in Medical Devices and Construction and Heavy Engineering continues to be a formidable Engineering services player. However, the leaders like Infosys, Tech Mahindra, L&T TS, Cyient, Symphony Teleca, Aricent, IGATE and Mindtree are fast closing the gap by diversifying into newer verticals by leveraging their embedded and software capabilities and exploring newer customer segments like first time outsourcers and growth stage start-ups. Deep solution capability and better IoT readiness differentiates these companies from the rest. Niche engineering service provider category is where the Indian service providers face stiff competition from the Chinese and Central and Eastern European players. Pactera is undoubtedly the leading Chinese service provider in the Engineering services space while EPAM is the leader in Central and Eastern Europe. Ness and GlobalLogic also have a good presence Eastern Europe and have leadership capabilities the software product segment. Persistent, KPIT Technologies, Tata Technologies and QueST Global, are leaders in Software products, Automotive and Aerospace respectively and continue to further strengthen and deepen their capabilities. Though the niche players have historically focussed on specific verticals, they are now looking to expand into newer verticals by leveraging their horizontal capabilities in embedded systems and software. CMC, Tata Elxsi and Sasken have made good strides in verticals like Automotive, Industrial Automation, Medical Devices, Consumer Electronics and Software. Happiest Minds and NeST are the emerging players in the engineering services space. Happiest Minds is building capabilities in disruptive technologies and NeST has established capabilities in Industrial Automation and Medical Devices verticals. The study indicates a significant increase in the maturity of solutions that service providers are building especially in the IoT space. Solutions are not only go-to-market arrow heads but are significant contributors to non-linear revenues and are becoming the key differentiators. 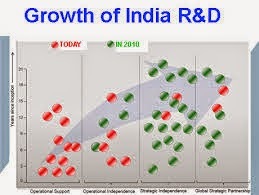 This has shifted the investments from lab infrastructure to solution development initiatives. Also, the attrition rate has come down by 2 percentage points to 12% making it a stable operating environment from a people perspective. Large and strategic deals are now mainstream in engineering services space. A typical large deal is structured around supporting the customers with their global market expansion. Over the last year, there has been an increased activity around M&A both by the Private Equity companies and niche service providers. This is most likely to translate into deals in Q3 and Q4 of FY 2015. Transforming from being a proverbial service provider to a true engineering partner is the key challenge facing the engineering service providers. To overcome this challenge, service providers are putting together structured engagement models to collaborate with start-ups and expanding their eco-system partnerships with OEMs and technology partners. Cisco has unveiled ‘Cisco Smart City’ as a blueprint for the future of smart and connected communities in India. The initiative is the outcome of Cisco’s collaboration with the Government of India on the Digital India initiative. Cisco Smart City symbolizes what the digitization of a country means for the future of work, education, healthcare and the electronic delivery of citizen services, Cisco said. The Internet of Everything (IoE)-powered Globalization Centre East campus in Bangalore demonstrates how citizens can live, work, play and learn in a Digital India. At the inaugural event, Cisco demonstrated the possibilities of the government’s Digital India program where infrastructure would be offered as a utility to every citizen, governance and services would be on demand and citizens would be digitally empowered. With Internet of Everything, Cisco showcased how connected education, connected healthcare, smart buildings, connected transport and smart parking can transform the way cities and communities are designed, built and renewed to ensure economic, social and environmental sustainability. Cisco Smart City also explains how a pervasive physical network infrastructure can easily connect to devices (such as sensors, information access points and mobile devices) and with a high degree of security. The Digital India program focuses on the digital empowerment of citizens by improving broadband connectivity, universal phone connectivity, public Internet access points, public Wi-Fi in schools and universities, digital inclusion, electronic delivery of governance and services, and job creation. The Cisco Smart City, with LEED Platinum Certified buildings, also showcases the future of work- a future that is not just about connected devices, but also about when and where people work, and how companies can foster creativity, collaboration and productivity in the workplace. Dinesh Malkani, president, India and SAARC, said the foundation for a Digital India will be intelligent networks which will transform the delivery of citizen services from transportation, utilities and security to entertainment, education, and healthcare. “The Cisco Smart City and the announcement of the next phase of our expansion of the Cisco India site underline our commitment to deepening our presence in India and helping transform the way citizens in a Digital India will live, work, play and learn,” Malkani adds. R Chandrashekhar, president, The National Association of Software and Service Companies (NASSCOM), addressed the issues that rapid urbanization brings to cities when the current infrastructure likes transportation, power, water and waste management are already overburdened. Globally, Cisco has already collaborated with cities such as Barcelona, Spain, and the city of Canberra, for smart city initiatives. As part of its Smart+Connected Communities projects, Cisco is engaged in 90 global greenfield and brownfield projects, which include the Delhi Mumbai Industrial Corridor in India, where Cisco is developing the ICT master plan for four pilot cities in the $90 billion flagship public sector infrastructure project. Infinite Computer Solutions, a leading business partner in India and Asia Pacific for Datatex has announced the launch of ‘Rapid NOW’ – an unparalleled ERP specifically for Small and Medium Textile Organizations. These are pre-configured instances of Datatex NOW ERP based on Infinite’s decade long implementation experience at big and small organizations. These instances are ready to be implemented within a time frame of few weeks which allows customers to enjoy the ERP benefits in the shortest possible time. 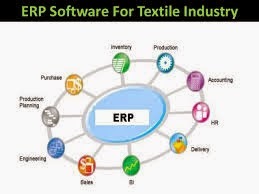 By adopting ‘Rapid NOW’, textile companies will be able to implement the best features of the World’s Leading Textile ERP being used by many leading Textile Manufacturing Organizations across the globe along with the typical Indian requirements like multiple taxes, Excise Invoice and Export Invoicing procedures involving LC and Custom Invoices. ”At Infinite, we have implemented ERP and other IT solutions across all the Textile supply chain segments like Fiber Manufacturing, Spinning, Knitting, Weaving, Processing, and Apparel Manufacturing in multiple sub verticals including Denim, Worsted, Non-Woven and Home Textiles. Some of our esteemed customers in the Indian subcontinent are Arvind Limited in Ahmedabad and Bangalore, Vardhman Spinning and General Mills across multiple locations in India, Shahi Exports in Karnataka, SEL Manufacturing Limited across multiple locations in India, Bombay Rayon Fashions Ltd across multiple Locations in India including Mumbai and Jay Jay Mills Lanka (Pvt) Ltd in Avissawella, Sri Lanka.” says Dinesh Singh Banshiwal, Head of the Datatex team at Infinite. 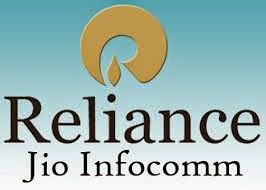 Reliance Jio Infocomm Limited (“Reliance Jio”), a subsidiary of Reliance Industries Limited (RIL), the only pan India operator with BWA spectrum preparing to launch 4G services and Indus Towers, the world’s largest and India’s leading provider of telecom tower infrastructure, today announced the signing of a Master Services Agreement (MSA) for tower infrastructure sharing. 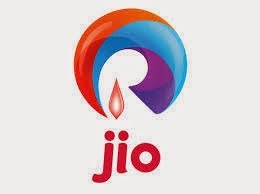 Under the agreement, Reliance Jio would utilize the telecom tower infrastructure services being provided by Indus Towers to launch its services across the country. As per the agreement, the pricing would be based on prevailing market rates. The agreement will help in avoiding duplication of infrastructure and preserving the environment. It will also ensure seamless services to Reliance Jio customers through Indus’ world class tower infrastructure. Indus Towers has a well-defined infrastructure sharing strategy to support and to enhance infrastructure sharing in India, thereby allowing for expansion of wireless networks into rural areas and promoting better environmental utilization of resources in metro areas. Currently Indus Towers services 11 operators namely Airtel, Vodafone, Idea, Aircel, Tata Teleservices, Uninor, Reliance Communications, Videocon, MTNL, BSNL & MTS.